Simplicity and minimalist lifestyle has come to man-kind for a while but the world out there is still crazy of it. Brands such as Bellroy and Dosh have sensitively caught up this trend to release many hot items like minimalist bags and wallets. 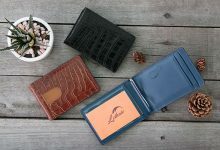 If you want to make a plot twist by changing your old habits, like the way of currency storage, for example, then in this article, I will show you 10 best Bellroy Wallets that are highly recommended to try. So, without further ado, I will get straight into it! 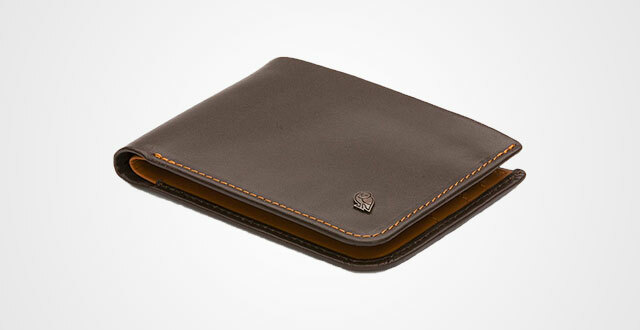 Hide & Seek Wallet from Bellroy is arguably as one of the best items fillable in the market. This wallet is made out of premium full-grain vegetable tanned leather. If you are wondering what this material is, well, it’s basically an environmentally friendly way tanned leather. Thus, it doesn’t use harmful chemicals that’s bad for the environment. In fact, the color actually comes from tannic acids naturally found in plant species. Another feature I want to talk about this Bellroy is the RFID protection. These days, all wallets come equipped with RFID Protection so it’s kind of a new norm right now with wallets. Dive straight into the interior, there are 4 card slots, 1 hidden compartment which is also protected. In terms of the capacity of this wallet, I think it’s maximum for 12 cards without bulk and tightness. Other than such card slots, there is a flat bill compartment in the middle. Now, you may be curious about its name, why is it called “hide and seek”, right? The funny thing is that it’s actually a discreet section inside the bill compartment so that you can perfect hide your checks, bills, or things like that. There is also another hidden pocket where you can store coins. Nowadays, if you have already tried some minimalist wallets for men, you might know that hardly they have a separate compartment for coins, right? But this one does. 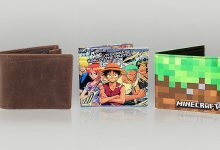 Thus, if you can’t live without coins, look no further than this wallet. Also, don’t worry, when closing the wallet, it still holds up well as well as keeps the slim silhouette perfectly. There’s just one thing when it comes to choosing this wallet is that Bellroy hide and seek includes high and low version. The main difference between these two versions is its dimension. If you need to store US Dollars, then go with the high as it’s taller than the low and vice versa. First thing first, Bellroy’s packaging is one of a kind! Instead of using a solid, heavy carton box, they sophisticatedly and smartly use a cocoa thick cardboard stitched together the edges with cotton threads to cut off the weigh, saving the shipping cost. However, it still delivers an elegant and luxurious look through a little embossed owl on the frontside, the explanation of their leather texture on the opening mechanism tab and the beautiful graphical print. The way they wrap their wallet is also carefully. It is protected by a paper tissues to prevent leather from scratching in transit. The wallet is, again, made out of beautiful soft leather and very well finished shown by the extremely neat stitching, the branding at the wallet is not overly loud. This is a very elegant detail that I like! Other than that, there is name and logo on the inside as well as the name of company on the outside. The wallet is not much bigger than a credit card and certainly lives up to its name of being slim. The sleeve has a feature which is actually unique to Bellroy wallets. When opening it, you will see a brown tag which makes it easier to retrieve your cards from this rear pocket. Look more in depth into this mechanism, you will understand how it works. By pulling the tab through the eyelet which in turns pulls the cards out from behind. 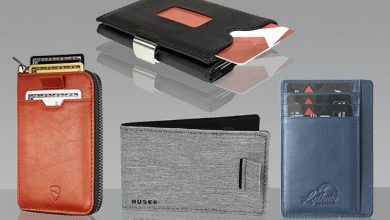 With this sleeve, you can put up to 6-8 cards, but kindly remember that, because it is featured as a slim wallet, the more cards, the bulkier it will be. Apart from this sleeve, there are two card slots and 1 bill compartment to fit your folded cash. This wallet comes in 4 colors: black, blue steel, coco, russet and tan. 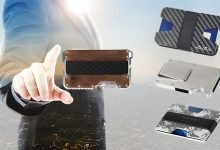 For those who are sick of carrying a traditional wallet around or a wallet with something like money clip in it, this Card Pocket Wallet will solve that problem. This model comes in 5 colors to meet different tastes and preference. The card pocket can hold 4-15 cards, coins, folded cash and even a Sim card just in a small silhouette of 4.1 x 0.7 x 2.8 inches. Impressive, right? More that that, when being fulfilled, it is just as thick as an iPhone 6, which is acceptable to put in any pocket without bulk or discomfort. Unlike those cheap leather wallets that just after a couple of months will tend to crack, this doesn’t. The only thing that happens to this Bellroy is it absorbs some color from your pants which is expected to give nice flare. There is a rule of thumb in mens fashion, the simpler, the more masculine. And it works with this Bellroy! 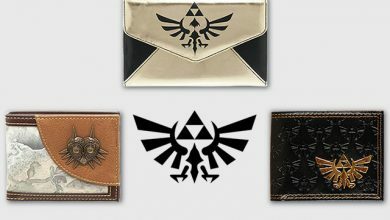 The whole outer performance of this wallet is plain with just a small owl logo, which is quite elegant. This wallet solves the problem of carrying cards for the duration of time that we have to until Mobile Payment technology finally kicks off to the mainstream. It cuts no corners when it comes to style or functionality. 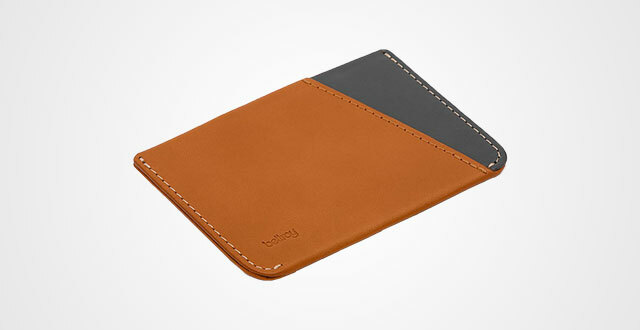 This Card Sleeve is one of the first products of Bellroy since 2012. What makes this one so unique compared to others is that there is no lining in it. Some others like to put a fancy lining in and while it looks nice, it does tend to create a lot of bulk in the wallet. 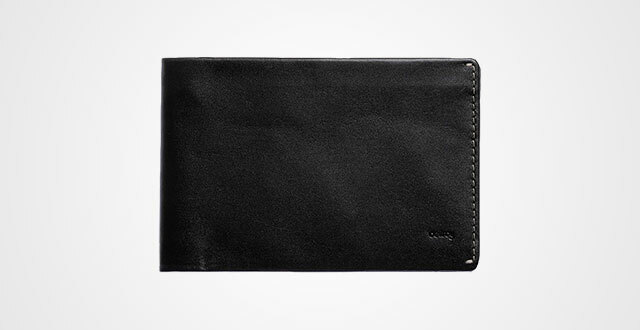 But with this wallet, using thin leather that might be 1-1.5 millimeters. I mean this lives up to its name of being slim. In terms of construction, there are two outer card slots with slash design for quick access. I really appreciate such small yet sophisticated detail. 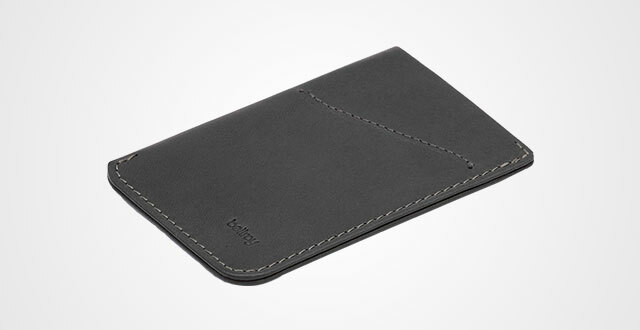 Other than that, there is a middle slot with a Bellroy pull tab, again, for quick access. If you still have to live with a couple bills, then just make advantage of one of those two outer slots for them. 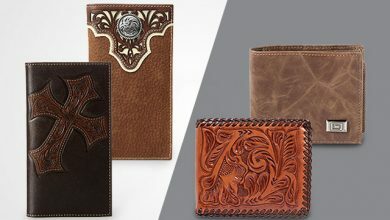 Measured by 2.8 x 0.2 x 4.1 inches, however, this compact piece can accommodate up to 8 cards and some folded cash without bulk. Besides, the wallet is very fine detail. The stitching is beautiful as Bellroy always does a perfect job on their wallets. Again, minimalist style with simple outlook, small logo on the frontside and non-toxic premium genuine leather to be eco-friendly to the environment. But, as figured as a slim wallet with thin leather material, what happens to it after being fulfilled is the cards start to form the leather. If you okay with that and like its slim silhouette, don’t hesitate to pick one. 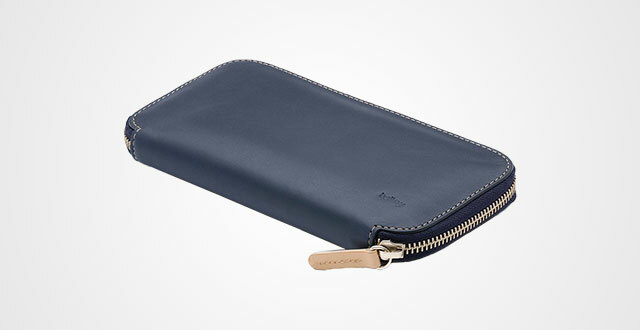 The last Bellroy wallet for men that I would like to recommend to you is this Travel Wallet. I know that many of us travel a lot either for work or holiday which means we need something useful and convenient to hold all essentials for a trip, like passport, local currency, cards, and things like that. What makes this wallet stands out from the crowd is its super durable material. Using 100 percent precious vegetable tanning genuine leather, its texture is not only soft and comfortable, but also longevity and durable. Another special thing is that despite its thin leather, only roughly 1.5 millimeters, it doesn’t seem week, easy to crack or tear but holds up well even after a couple of years. Might I needn’t talk much about its breath-taking outlook, right? Simple, elegant, masculine and sophisticated. The whole outer performance is full-plain with just a small brand name on the frontside and single contrast stitching on the side. When opening it, you will see firstly the slot for passport with curved-edge design for easily coming in and out your passport. Take a closer look, you will see its beautiful graphical lining as well as its famous Bellroy pen which is ideal to fill out your customs declaration and other occasions. Other than that, you have got 4 card slots with the front being a little bit loosen than the back for easily put your cards in and take them out, very thoughtful. On the top, there are two full-length bill compartments. They are quite spacious to accommodate a lot of straight cash and different currencies. You can also make use of them for receipts/ bills/ checks based on preference. The lining is very well-made with double stitching along the top. Not just stop at men’s wallets, Bellroy also produce many beautiful and functional items for women. 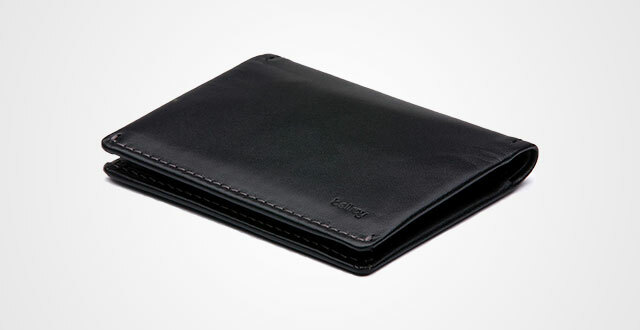 The very first wallet that I’d like to recommend to you is this Folio Wallet. There are four colorway options: black, navy, alabaster and deep blush which are very trendy and easy to mix with different outfits. I personally think this model is perfect for formal or dress up occasions like birthday, evening parties, wedding, etc. because of its luxe, elegance and functionality. Again, simplicity. Its outer performance looks quite familiar classic and beautiful with not overly logo on the frontside. However, this model doesn’t come up with minimalist style as those previous products. It’s full of life on the inside to meet almost needs and demands in carrying of women. Feature a spacious zippered compartment when opening, there are 6 card slots, 1 large compartment for cell phone, another full-length zipper and 1 open pocket. This wallet gives us high customization in storage as well as great organization so that you can quickly access what you need. A compliment for its zippers that work very smoothly. Their high quality is also felt through the sound of drawing. Measured by 8.5 x 0.8 x 4.3 inches, Folio Wallet is perfect to be a handheld piece emphasizing your outfit. 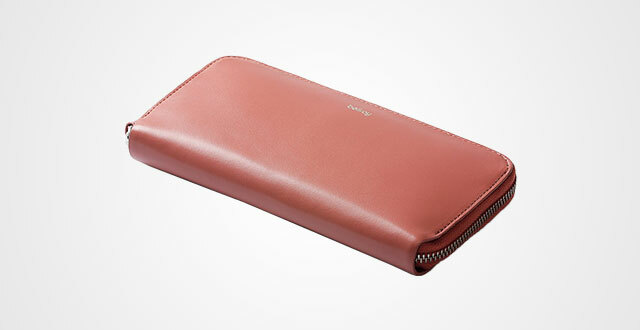 Apart from the full-length version wallet for women, Bellroy also release a short or a mini version as well so that if you like something compact yet functional, look no further than this Leather Pocket Mini. Its length is just a half of the Folio, which is 4.3 x 0.6 x 3.8 inches. Again, this one comes in four colors: black, navy, alabaster and deep blush, all of which looks very modern, fashionable and sleek to style with. 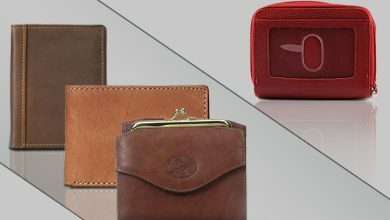 Because Mini is figured as a small handheld wallet, surely its interior won’t be as large and well-organized as the Folio. However, in general, it’s still streamlined with 4 functional slots in which you can fit up either cards or folded bills. 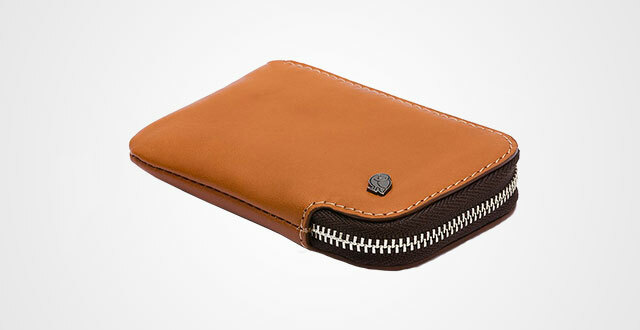 Other than that, there is a middle pocket that Bellroy recommends for coins. Actually, at first, I’m doubted with this pocket as it doesn’t come up with any zipper so, how can it keep my coins in place without falling out? Until, when unboxing and exploring this space, I’ve realized that this pocket uses a special strap to keep itself closure when not in need. It’s solid, sturdy and firm enough that even when you shake the wallet very hard, coins won’t come out. So, I personally think this is a perfect item for your daily use as its can accommodate up to 8 cards easily together with coins and bills in just a slim and compact profile that can conveniently store in any purse or hold on hands. 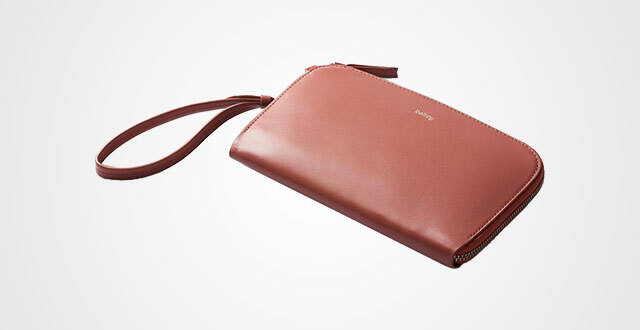 For dressing up occasions where you need to show up some character, feminine, elegant and luxe to the publicity, go with this Leather Clutch from Bellroy. Its outer performance is quite the same as the Folio with full-plain leather with a small, elegant logo in the middle and measured by 8.5 x 0.8 x 5.5 inches. The only difference might lie on its extra wrist strap to keep your hand free during the parties. However, its interior is entirely different from Folio. 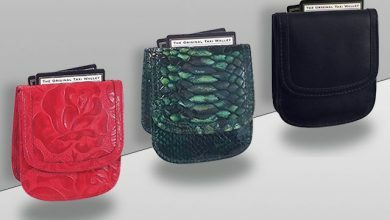 This Clutch has 3 card slots, 1 open full-length bill compartment, 2 functional spaces and 1 closure pocket for coins. I personally think this construction is perfect for you to rock any evening parties in town as it can accommodate all your vitals such as cards, smart phone, straight cash, coins and even cosmetic. But, don’t fret about its profile. After being fulfilled, the clutch still keeps its moderate slim silhouette without forming the leather or bulk. What’s impressive about this wallet is its capacity to accommodate up to 16 cards without bulk. In terms of what makes it outstanding from other leather carry out wallet is its separate removable slim wallet with 2 inner compartments secured by a magnetic strap and 1 outer slot. As always, its outlook is very simple, elegant and luxurious that emphasizes with a small logo on the frontside. The whole wallet is secured by a smooth, durable zipper. I don’t know about you, but I personally see that its interior looks quite familiar to the Folio with 6 card slots, 1 full-length bill compartment, 1 coin pocket, 1 large compartment for cell phone and 1 zippered compartment for additional cards or coins. But the best thing about this model is its slots for a SIM and SIM key. So, with this amazing piece, you can use it as a travel wallet, making use of the main compartment for storing passport, or just a daily wallet to keep up your vitals. I mean this is a multifunctional item that should have in your wardrobe. 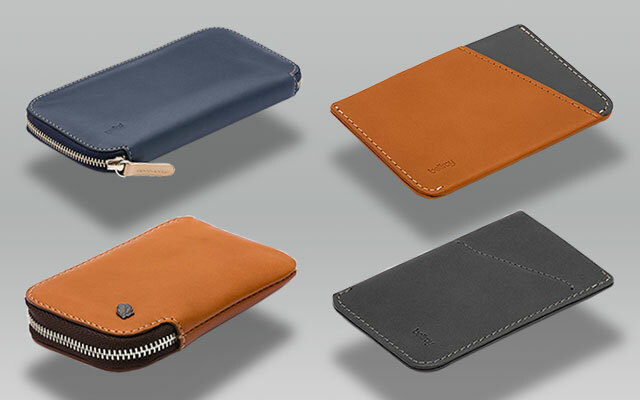 Apart from those single color or plain color wallets, Bellroy also makes a refresh or plot twist with color blend items, like this Micro Sleeve as a typical example. There are up to 6 colorway options to choose. And actually, this model is not just for women, but also for men. It’s unisex. If you are a minimalist person and are looking for an impressive wallet, I’m pretty sure that this Micro Sleeve will shock you out. Bellroy have a Card Sleeve before, but this is the MICRO Sleeve, which means it is even slimmer and thinner than the previous. In fact, its dimensions are 4 x 0.2 x 2.8 inches, which is 0.1 inch thinner than the Card Sleeve. 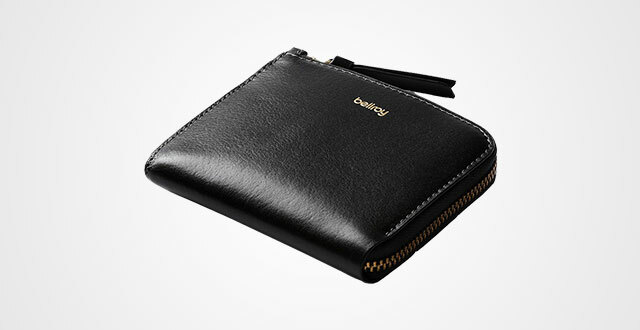 Again, to cut off its thickness, the wallet comes in thin leather material and no lining. I personally feel that the material of this Micro Sleeve is a little bit thinner than the Card Sleeve, but in general, as it is premium vegetable tanning genuine leather, it’s quite durable, sturdy and solid to cause no tears while using. In terms of construction, this Bellroy slim wallet is the same as the Card Sleeve with three compartments in which you can fit either folded cash or cards. However, it doesn’t have a pull tab mechanism as the Card Sleeve and its capacity is only maximum 4 cards. So, if you are a person who love carrying less, this is a highly-recommended item. I have just together with you gone through 10 best Bellroy wallets for either men and women, what do you think about this Australia-based Company and their products? 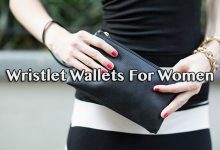 Hopefully, this article helped you find out the best wallet to add to your wardrobe or at least, inspire you to find out which style suits you’re the best.